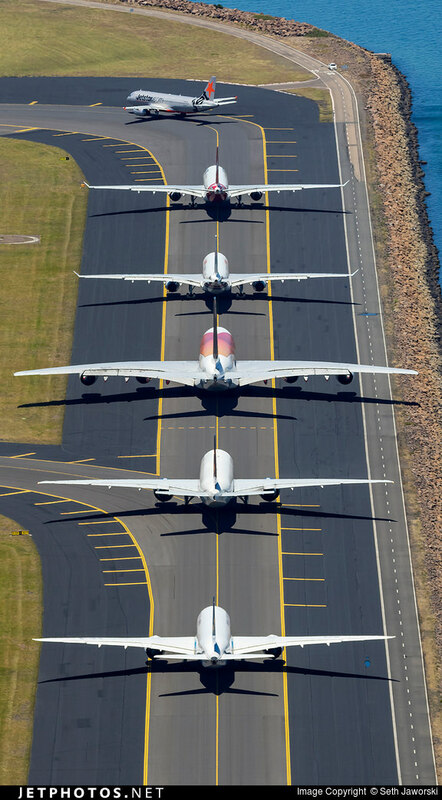 On 12 November, photographer Seth Jaworski captured the departure queue for Runway 34L at Sydney Airport. While the identity of a few of the aircraft was readily apparent, we wanted to see if we could identify all six aircraft in the photograph. We turned to our Global Playback feature for the answer. Using EXIF data from the photo on JetPhotos, our Global Playback, and our new Multi-select View, we were able to identify all six aircraft. The first was obviously a Jetstar A320, the second with a close look was a Qantas A330, the second A330 belonged to China Eastern, and the A380 was one of Singapore Airlines’ special Singapore50 livery aircraft. But the fifth aircraft (a 777) and the sixth (a 787) were a bit more difficult to identify. And we still wanted the registrations for all six aircraft. Using the EXIF data, which provides the time the photograph was taken in Sydney, we were able to narrow our window for our search in Global Playback. We then clicked the clock icon on the right side of the screen to set our time window. 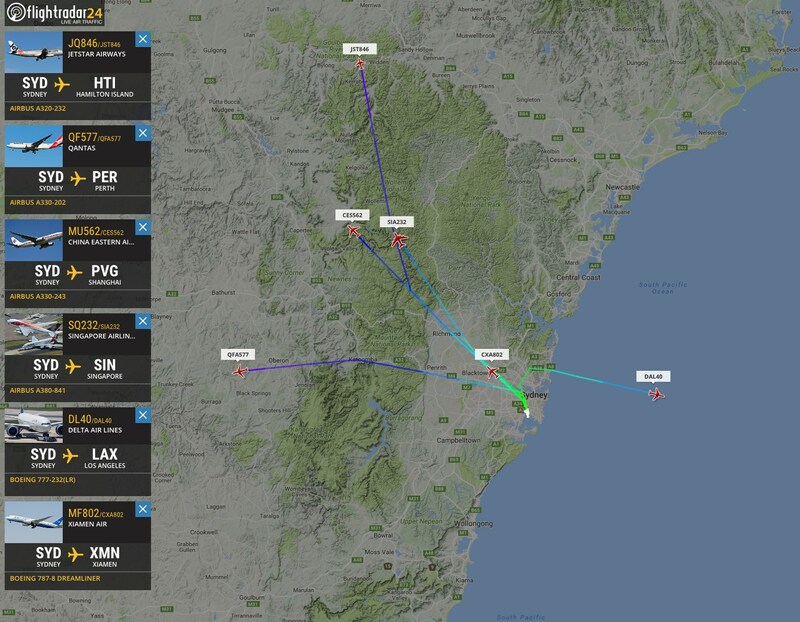 Knowing that the photo was taken just after noon and that Sydney is UTC +11, we set our time for 01:00 UTC and centered the map on Sydney Airport. Soon enough, we saw the queue for Runway 34L form and watched the flights depart one after the other. For a quick tutorial on using Global Playback on Flightradar24.com, see the video below. We also have a variety of quick tutorials on our YouTube channel, from setting alerts to finding historical information about individual flights.